Being a dragon descended species, the kajol inherently have magic in their blood, though not all focus their life to it. 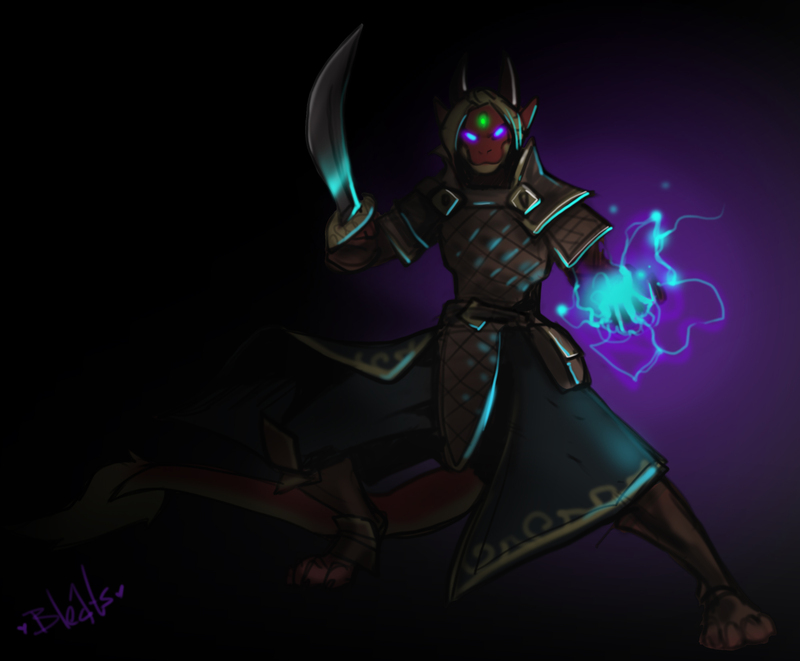 Ilkarin for example spends more time balancing magic and weapons, but primarily focuses on adventure and lore-finding. Currently he is training to become what is known as a "Storm Blade"
Really liked their description for the pictures so I used theres!